The rise in price was noticed during The Coffee Exchange auction of 2013 which is held weekly by the Tanzania Coffee Board (TCB), to regulate the coffee industry in Tanzania. The city of Moshi in the Kilimanjaro region in the North of the country, is best suited for crops grow such as coffee and tea, thanks to its specific altitude and dry climate. 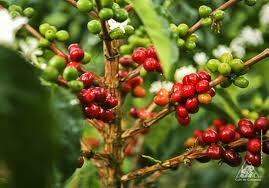 Coffee is Tanzania's largest export crop accounting for 20% of the country’s foreign exchange earnings. Tanzania coffee production averages between 30-40,000 metric tons each year of which approximately 70% is Arabica and 30% is Robusta. In addition to Kilimanjaro, the leading coffee producing region, Morogoro is also on the increase; the region is believed to have the potential to exceed the combined production of Kilimanjaro and Arusha. During the 2011-2012 season about half of 146 villages in Morogoro District were producing coffe, with 3,000 hectares cultivated and some 155 tonnes harvested.